Before she became a sought-after New York fashion photographer, Lindsay Adler was getting the teen set to look their best in front of the camera — and she was having fun while doing it. 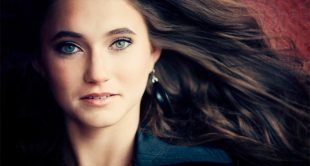 “High school seniors – girls in particular – let you get creative and let you have fun,” she says about her experience shooting senior portraits. The freedom to get creative and try new things that senior photography permits gave Lindsay lots of opportunities to learn and discover posing tricks that work and poses that don’t. 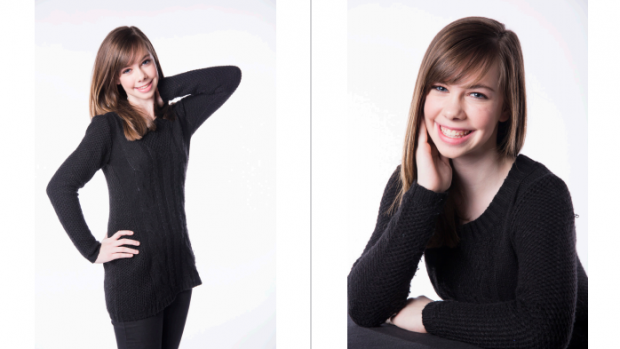 She boiled those early posing lessons down into five posing rules you can use direct your high school senior subjects. The bottom line: Don’t let your desire to get creative get in the way of that expression. Want to earn $30,000 a day with your own volume photography business? RSVP to Matthew “The Body” Kemmetmueller’s The Business of Volume School Photography on July 13th. 2. Asymmetry rules. A little asymmetrical action prevents your poses from looking static, and creates more interest in your poses. “Plain old hands on the hips, for example, is a little bit static. Maybe raise one [elbow] and lower the other try to get things a little bit more asymmetrical,” she explains. If you do, for whatever reason, have to pose someone in a symmetrical way, prompt your subject to move into the pose while you shoot to give it a little more energy. 4. Don’t ignore the hands. Lindsay is much more liberal about incorporating hands in high school senior portraiture than in fashion. Of course, there are still rules to follow so its important that when you include hands in your shots you aren’t seeing the palm and always seeing the side of the hand. She goes over more essential hand posing techniques in Posing 101. 5. Sitting, leaning, laying? All of the above. “Go safe, then go crazy and get creative,” Lindsay says. High school senior portraits are going on Grandma’s wall, but will also get handed out to friends and turned into profile pictures. Make sure you get the standing or sitting shot the family is is expecting, then open the shoot up for more fun and experimentation. “The standing shot is obvious, but you’ve got sitting, leaning, and laying,” she explains. The leaning and laying are great opportunities for incorporating unexpected texture and coming up with more creative shots. If you are ready for a more complete posing education, be sure to check out Posing 101 which is flush with visual guides to help you take your best shot.